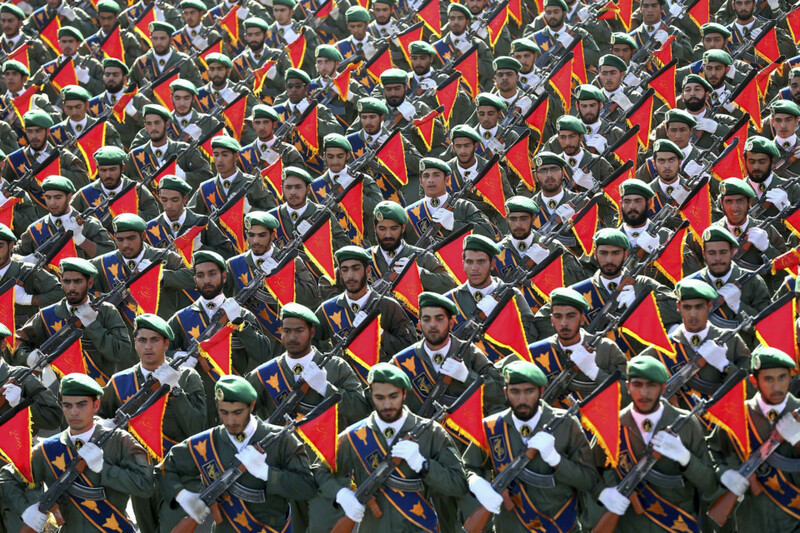 In an unprecedented move in Washington, the administration of United States President Donald Trump has designated Iran’s Revolutionary Guards as a terrorist organisation, saying the group is responsible for actively promoting and financing terrorism “as a form of statecraft”. Certainly, for those of us who live in this region and have watched with alarm Iran’s efforts to spread chaos and sedition, the designation from the Oval Office should come as no surprise. For those who hold power in Tehran, it should come as little surprise either — and the overarching message is that Iran needs to change its ways. That need for change is growing, that pressure for change is unrelenting, and the sooner that is taken to heart at the highest levels of the regime the better it will be for every Iranian. The leadership in Tehran cannot continue to ignore these portends, these proclamations of its detachment from its people — and that is a message that must be clearly understood. The reality is that for the past four decades, Iran’s Revolutionary Guards have been the main actors when it comes to the regime in Tehran promoting its sectarian agenda from the Bab Al Mandab to the Mediterranean Sea. Its far-reaching influence, its structure, its ability to act within that regime as a virtual state-within-a-state — one where its tentacles reach through every facet of Iranian society — have been all too obvious. From manufacturing armaments, controlling police and security apparatus, acting as an elite military force with little accountability other than to the very top level of that sectarian regime, and amassing a fortune in real estate and other holdings both in Iran and around the globe, the Guards have become adept in exerting influence and as a vehicle to bypass the necessary economic and financial sanctions that keep the regime in check. This designation should serve as a wake-up call that the regime in Tehran cannot ignore — one that it simply can’t pretend didn’t happen. Make no mistake, the Guards have been responsible for the prolonged conflict underway in Yemen. It is responsible for supplying weapons and mines, rockets and targeting systems to Al Houthi terrorists, a logistical supply chain that has physically worsened and endangered the lives of our Yemeni brothers. This designation should serve notice that Iran’s interference across the region must come to an end. One is tempted to ask now: What took so long?